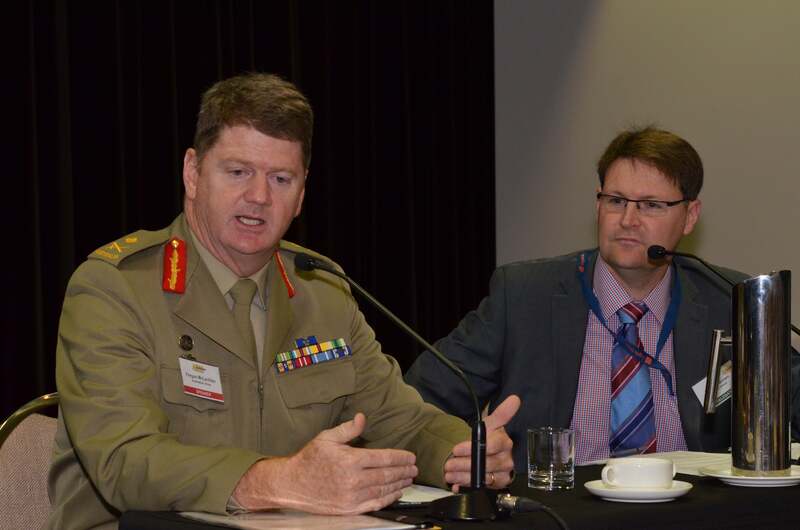 The Australian Defence Magazine has released their report of the Cyber Security Summit which was held in Canberra on 16 – 17 June 2015. Cogito Group were proud to be sponsors of this event. We had an exhibition stall where we demonstrated specific IT security solutions to delegates. Richard Brown, Managing Director of Cogito Group, chaired the second day of the summit where he introduced speakers such as; The Hon. Kevin Andrews MP, Minister for Defence and Major General Fergus McLachlan, head of Modernisation and Strategic Planning. This report outlines what was covered over the two day summit. With a wide range of speakers from Defence, government, industry and academia, there were many different views and perspectives covering a variety of topics. 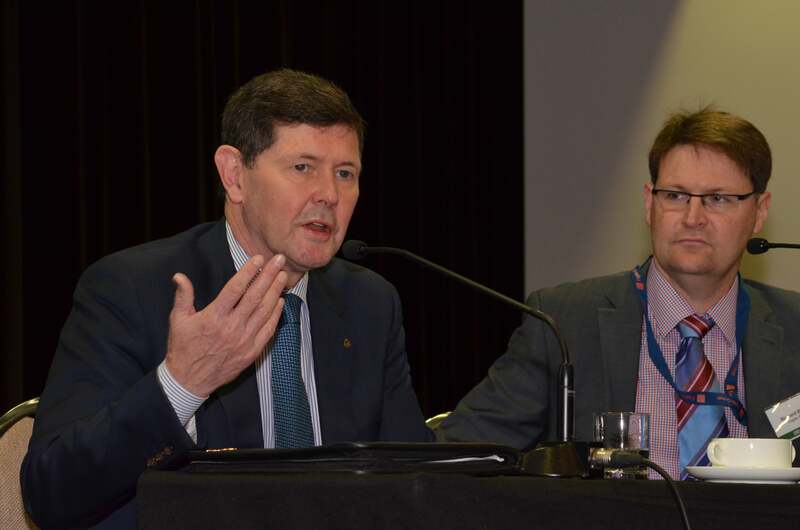 Minister for Defence Kevin Andrews explained the governments position on cyber. Prime Minister & Cabinet’s Fas, Cyber Policy and intelligence Division Lynwen Connick spoke about the how the review unveils confusion over cyber security roles. There was a panel to discuss the ACORN (Australian Cybercrime Online reporting network) website and how we are starting to see that the $2 million reporting system is beginning to pay for itself in solving mass cyber frauds. “Defence wants to recruit you for your cyber security skills”. It looks like the Army are thinking about waiving the usual age or fitness requirements entry standards to join the Army if they want to recruit IT staff with cyber security skills. 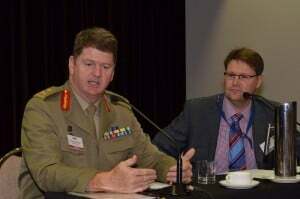 Major-General Fergus McLachlan, head of Modernisation & strategic Planning, Australian Army said that “We know we’ll probably need to embrace a non-linear recruiting model, an unusual recruiting strategy to draw cyber expertise into the army”. Rear Admiral Peter Quinn CSC agreed with Major-General Fergus McLachlan. Dr Greg Austin, visiting professor at the Australian Centre for Cyber security, UNSW questions whether we are approaching a “global cyber security crisis”? Dr. Tobias Feakin Senior Analyst and Director, international Cyber Policy Centre, ASPI outlined North Korea’s aggressive commitment to cyber warfare.